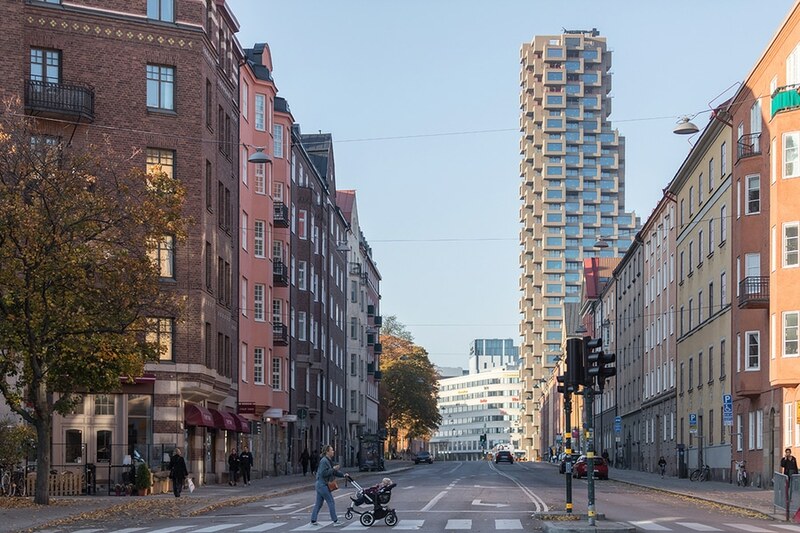 The Norra Tornen project started with two inherited building envelopes, the remains of a cancelled project initiated by the former city architect Aleksander Wolodarski. 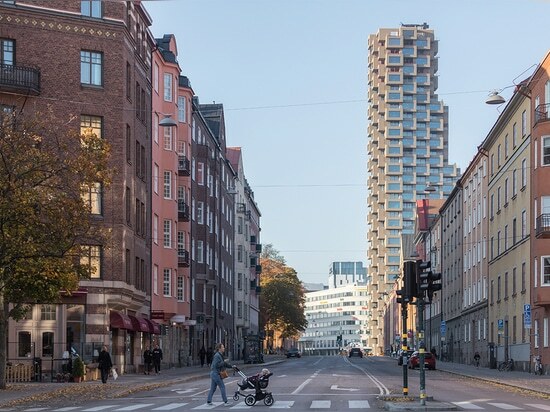 Each a kind of 'crescendo' composition of different heights – neither slab nor tower – prohibit the unfolding of an uncompromised typology. 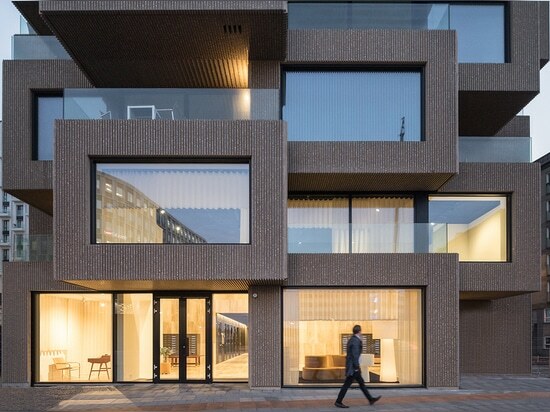 Conversely, the opted program, apartments with an emphasis on large outdoor spaces, prevented too literal a translation of the envelopes into architectural form. Through a kind of 'Freudian flight forward' – a passionate embrace of the inevitable in order to conquer and overcome one's initial fears – the prescribed building envelope was adopted as a given. Its initial vertical segmentation was complemented by a second, horizontal segmentation that gives the buildings' exterior a single, homogeneous treatment: a rough skin, formed through an alternating pattern of withdrawn outdoor spaces and protruding living rooms. 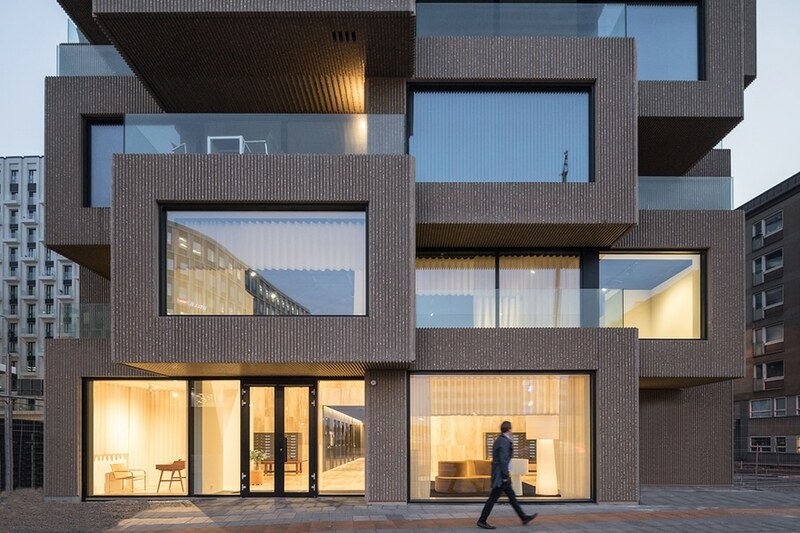 The chosen material, ribbed colored concrete brushed with exposed multi-colored aggregate pebbles, echoes brutalist architecture and that is not by chance. 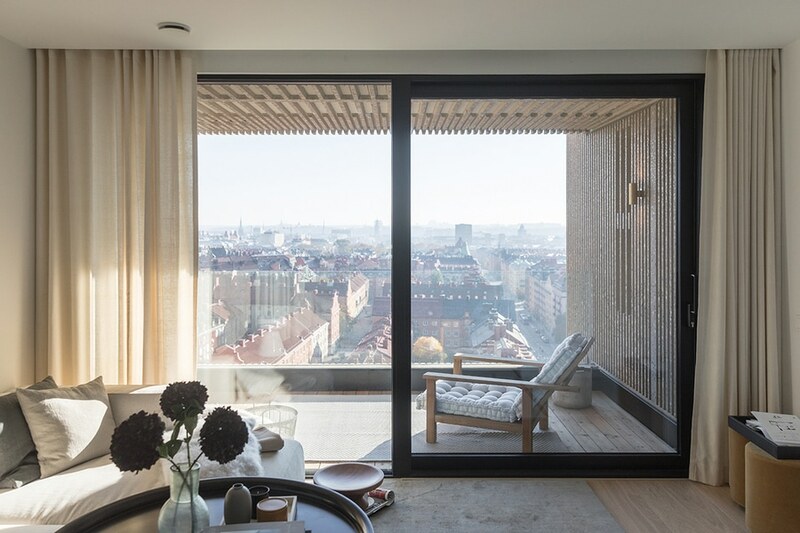 According to architecture critic Reyner Banham, the term brutalist architecture was invented by Hans Asplund, the son of Gunnar Asplund, when referring to a design of his studio colleagues in a letter to his British architect friends. 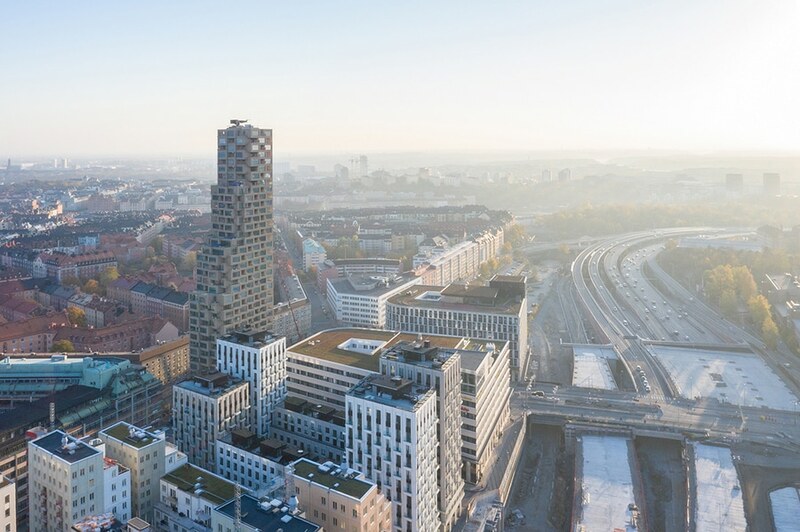 At a height of 125 meters, and 110 meters, respectively, the two towers are the highest residential buildings in Stockholm’s city center. 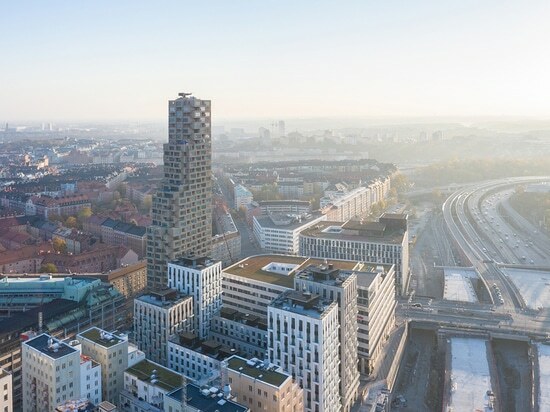 Located in Hagastaden, a new district in the north of Stockholm developed around the Karolisnka Institute (which awards the Nobel Prize in Medicine), they stand as a gate to the city. However, the manipulation of the initial building envelopes radically transforms their initial implied architecture of monumentality. It gives way to an articulation of domesticity. A once formalist structure comes to house apartments that are surprisingly informal...one could even say humanist.